What Happens if I Fall Asleep with My Contacts? Home » What's New » What Happens if I Fall Asleep with My Contacts? If you are a contact lens wearer, surely you have fallen asleep, even just for a nap, with your contacts in. 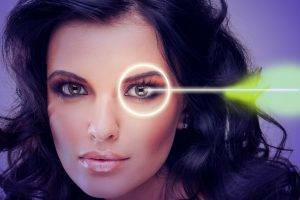 The question is – Is it bad for your eyes? While today’s contact lenses are more durable and are designed to be more comfortable than ever, that does not mean it’s safe to sleep with your contact in. In fact, with the exception of FDA-approved “extended wear lenses,” almost all other lenses come with instructions from the manufacturer, and your optometrist, not to sleep with them in. Studies have shown that a 10-15% increase in the rate of infections of people who sleep in lenses versus those who do not. Leaving your contacts in overnight can also lead to redness in the eye, eye strain, pain or headaches. What do I do if feel asleep with my contacts in overnight? Can I still wear the contacts? Be certain to remove the lenses as soon as possible upon waking up. If the lenses are still fresh, soak them in solution overnight and they should be safe to use. If the lenses were older than they should be (i.e. monthlies worn in their second month), discard the lenses and start with a fresh pair. If you experience dry or irritated eyes, use lubrication drops or artificial tears. If after that you are still experiencing pain or discomfort, then contact your eye doctor.